Anamosa is the county seat of Jones County located at the intersection of Highway 151 and 64 in east central Iowa. 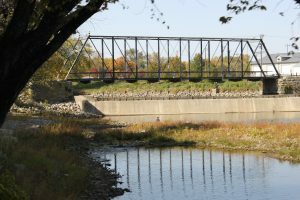 Anamosa boasts two golf courses, a state park, community center, public library, swimming pool and a variety of wonderful small businesses and restaurants. Local attractions such as the National Motorcycle Museum, State Penitentiary Museum, Grant Wood Art Gallery, Starlighters Theater, and antique shops bring many visitors to Anamosa. Our Pumpkinfest received State of Iowa honors and is held the first weekend in October each year. Anamosa is one of fifteen United States sites for the Great Pumpkin Weigh-offs. The new library is a great addition for the public. The beautiful structure is a true example of community efforts. The downtown “Streetscapes” project has brought many improvements to the area. There are new businesses opening and the owners are painting and sprucing up the looks of their shops. Patriotism is strong in Anamosa. The annual Veteran’s Day assembly, sponsored by the Anamosa High School, brings in national speakers, fly overs from the Air National Guard, aircraft tours, and honors for local veterans. One year the students’ project was to have a city street named, Veterans Memorial Drive. The Anamosa Veteran’s organizations are always busy and worked hard to bring the Vietnam Moving Memorial Wall to Anamosa. Follow the links on the right hand side of this web page to learn more about Anamosa, Iowa.